Sarah became a physician assistant in May 2016, studying at Union College in Lincoln, Ne. 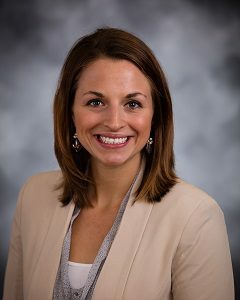 She joined Nebraska Pulmonary Specialties in July 2016 and now focuses on the pulmonary and sleep needs for patients, as well as rounding in facilities. She and her spouse, Ryan, enjoy spending time with their families and hope to start a family of their own soon. In her free time, Sarah spends it exercising, watching movies, or anything involved with the outdoors!